A small idea with a bigger vision took hold in a sheltered glen in the northwest of Skye. Two sisters, Catriona Canning and Diana MacPhee, inspired by their childhood surroundings in Glendale, developed an artisanal soap-making business, using organic essential oils from the plants and herbs of the Hebrides. 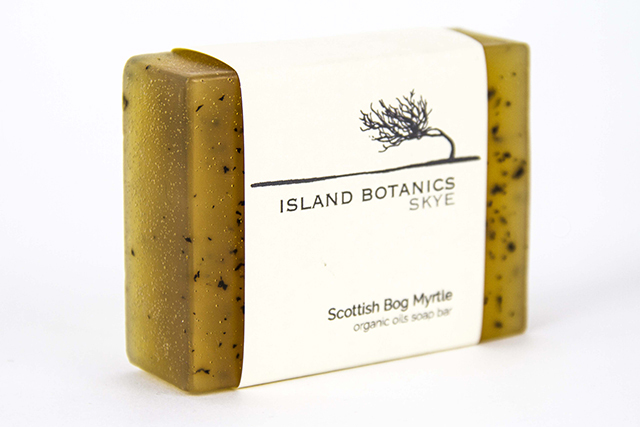 Island Botanics is a company which places particular emphasis on its ethos. The website was therefore designed to highlight the authenticity and femininity of their work. Images show the purity of the manufacturing process while language was carefully chosen to convey the natural benefits of the products. The brand had to distinguish the company and communicate its USP in a very crowded market-place. We re-worked their logo and labels, enhancing transparent packaging to show the products’ natural colourings. The online shop is clear and simple to use and facilitates business far and beyond the Isle of Skye.